I woke up this morning to the gorgeous gargle of a tui getting liquored up in the ornamental cherry tree by our front door. It almost made up for the miserable weather, again. I love watching tui. They’re so hedonistic. Faced with a tree in full blossom, they behave worse than adolescents on alcopops, especially if you’ve got an early Taiwanese cherrry, Prunus campanulata. They drink themselves silly on its fluoro-pink blossoms; don’t be surprised to find them blotto on their backs, having fallen out of the branches. 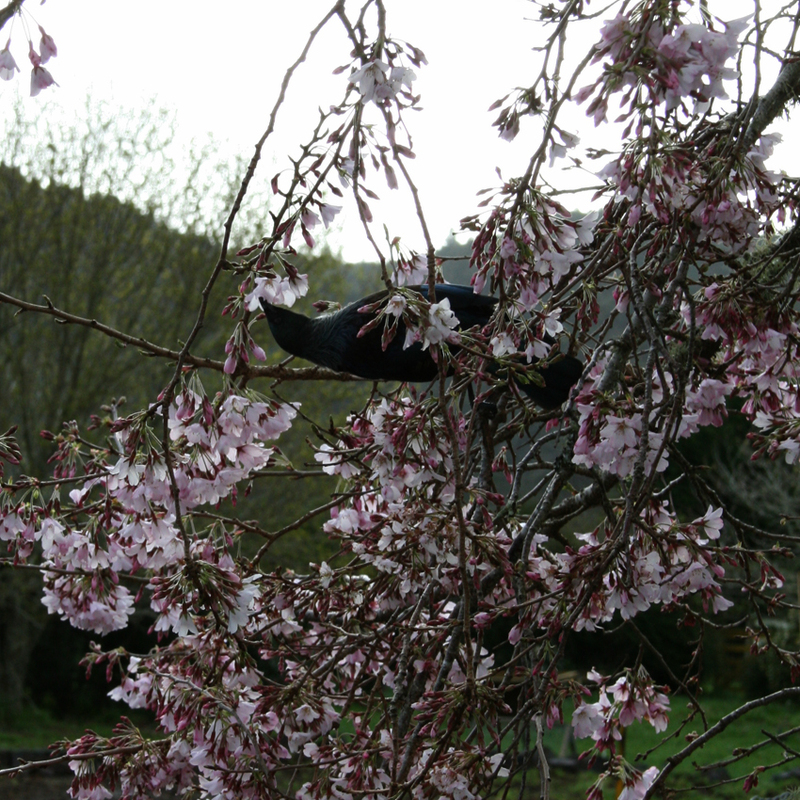 Our tree’s a pale pink Japanese cherry but that doesn’t mean the tui are any more refined at our place. By the time I came downstairs and grabbed my camera to snap this photo, a second tui had arrived on the scene. Instead of sharing, the two birds immediately launched into a lout bout of beak-and-claw biffo. Tui are beautiful songbirds, but they’re also big bullies.